"The more you focus on the fairway in life the more success you will have." Have you ever wanted to elevate your acumen in the business world or take a few strokes off your game? Wouldn't it be nice to also become the best you can be at home with your family too? Join us for a 2 or 4 hour seminar with Dr. Brett in either Los Angeles, CA or Westport, CT.
Dr. Brett is a remarkable coach, guide, and teacher. He has brought clarity to my vision and insight into how to achieve my goals through the power of presence. He has also taught me the power of being true to myself and communicating that truth to others. I am more successful and easier going than at point in my entire life. 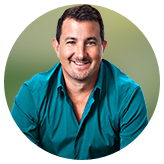 I am truly grateful for Brett's wisdom, compassion, and teachings on bringing me closer to my personal and business goals.Pete C.
I decided to schedule an appointment with Dr. Brett even though it was scary at first. I wasn't quite sure I was ready for what I was about to find. Its been quite some time since our first visit and I am perpetually reminded both of the progress that I have made in life and in my profession. I could not be more appreciative of Dr. Brett’s insight and personal attention in helping me to discover my path. Seeing Dr. Brett was one of the best decisions I've ever made for myself.Anca D.
I never did anything that challenged me, or took me out of my comfort zone. All my friends were looking for new ways to improve themselves, started traveling, and making changes, and it made me wonder if I shouldn't try my luck too. Dr. Brett was the one who encouraged me to learn more about my abilities, my talents, and my limits in order to know what I am truly capable of. In addition to this, he helped me understand how important it is to set goals for myself, and how amazing accomplishing them can feel.Alexander C.
Dr. Brett is by far the most intuitive and intelligent business/life coach I have ever worked with. He not only truly listens, but can identify and genuinely understands they keys, sometimes simple and not always obvious, to adjusting and building a more fun, creative, and successful life which is what we should all be doing. Dr. Brett is genuine in his approach and his practice which makes him very accessible which for me was not easy to find. Since I've been working with Dr. Brett I feel more organically freed to learn, love and grow every day.Thomas C.
You have an error in your message!